^ Manos G. Birēs, Marō Kardamitsē-Adamē (2004). Neoclassical architecture in Greece. http://books.google.com/books?id=2eY2DSay5KkC&pg=PA176&dq=The+redesign+of+Thessaloniki+after+the+Great+Fire&hl=en&ei=cGNGTsTTCMfJsgbzq9SiCQ&sa=X&oi=book_result&ct=result&resnum=2&sqi=2&ved=0CDEQ6AEwAQ#v=onepage&q=Thessaloniki&f=false 2011年8月10日閲覧。. ^ a b Nicholas Konsolas, Athanassios Papadaskalopoulos, Ilias Plaskovitis (2002). 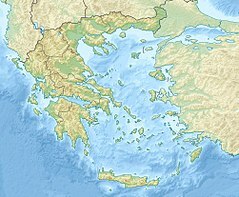 Regional development in Greece. http://books.google.com/books?id=YIvtcyGA890C&pg=PA43&dq=port+of+Thessaloniki&hl=en&ei=lWVMTqPfI-Lb4QSLgYnZCg&sa=X&oi=book_result&ct=result&resnum=2&ved=0CDcQ6AEwAQ#v=onepage&q=port%20of%20Thessaloniki&f=false 2011年8月16日閲覧。. ^ Ανδριώτης (Andriotis), Νικόλαος Π. (Nikolaos P.) (1995) (Greek). Ιστορία της ελληνικής γλώσσας: (τέσσερις μελέτες) (History of the Greek language: four studies). Θεσσαλονίκη (Thessaloniki): Ίδρυμα Τριανταφυλλίδη. ISBN 960-231-058-8. ^ Vitti, Mario (2001) (Italian). Storia della letteratura neogreca. Roma: Carocci. ISBN 88-430-1680-6. ^ a b c Richard Wallace, Wynne Williams (1998). The three worlds of Paul of Tarsus. http://books.google.com/books?id=qLdRFMbHfGIC&pg=PA209&dq=Thessalonika&hl=en&ei=9L1GTsCbB4SSswbmyezFBw&sa=X&oi=book_result&ct=result&resnum=2&ved=0CD0Q6AEwAQ#v=onepage&q=Thessalonika&f=false 2011年8月13日閲覧。. ^ David W. J. Gill, Conrad Gempf (1994). The Book of Acts in Its Graeco-Roman Setting. http://books.google.com/books?id=W-L1DA1ptKQC&pg=PA409&dq=Via+Egnatia&hl=en&ei=vbpGTti9NorFswa_9pisBw&sa=X&oi=book_result&ct=result&resnum=5&ved=0CD8Q6AEwBA#v=onepage&q=Via%20Egnatia&f=false 2011年8月13日閲覧。. ^ a b c White Tower Museum - A Timeline of Thessaloniki Archived 2011年1月26日, at the Wayback Machine. ^ Luc-Normand Tellier (2009). Urban world history: an economic and geographical perspective. http://books.google.com/books?id=cXuCjDbxC1YC&pg=PA188&dq=Via+Egnatia+Thessaloniki&hl=en&ei=prtGTtiVJ4XHsgb1w9SyBw&sa=X&oi=book_result&ct=result&resnum=5&ved=0CEIQ6AEwBA#v=onepage&q=Via%20Egnatia%20Thessaloniki&f=false 2011年8月13日閲覧。. ^ Fine, John V.A. (1991). The Early Medieval Balkans. University of Michigan Press. p. 336. ISBN 978-0-472-08149-3. ^ Pat Southern (2001). The Roman Empire from Severus to Constantine. http://books.google.com/books?id=DWiyzw91atgC&pg=PA400&dq=Roman+Empire+tetrarchy+Thessaloniki&hl=en&ei=QaBGTu7bIY2PswaPs8m9CQ&sa=X&oi=book_result&ct=result&resnum=3&ved=0CD4Q6AEwAg#v=onepage&q=Thessalonika&f=false 2011年8月13日閲覧。. ^ a b Alexandros Ph Lagopoulos, Karin Boklund-Lagopoulou (1992). Meaning and geography: the social conception of the region in northern Greece. http://books.google.com/books?id=zJl-n-BakRcC&pg=PA52&dq=Roman+Empire+tetrarchy+Thessaloniki&hl=en&ei=6aFGTqWcJ8aUswbZ-fW0Bw&sa=X&oi=book_result&ct=result&resnum=4&ved=0CEMQ6AEwAw#v=onepage&q=Roman%20Empire%20tetrarchy%20Thessaloniki&f=false 2011年8月13日閲覧。. ^ Fred S. Kleiner (2010). A History of Roman Art, Enhanced Edition. http://books.google.com/books?id=r-r0S-z-UxkC&pg=PA289&dq=Roman+Empire+tetrarchy+Thessaloniki&hl=en&ei=6aFGTqWcJ8aUswbZ-fW0Bw&sa=X&oi=book_result&ct=result&resnum=1&ved=0CDIQ6AEwAA#v=onepage&q=Roman%20Empire%20tetrarchy%20Thessaloniki&f=false 2011年8月13日閲覧。. ^ Matthew P. Canepa (2009). The two eyes of the Earth: art and ritual of kingship between Rome and Sasanian Iran. http://books.google.com/books?id=57szORf0_B0C&pg=PA84&dq=Roman+Empire+tetrarchy+Thessaloniki&hl=en&ei=4aNGTur8O4nHsga_o9zJBw&sa=X&oi=book_result&ct=result&resnum=5&ved=0CEoQ6AEwBA#v=onepage&q=Roman%20Empire%20tetrarchy%20Thessaloniki&f=false 2011年8月13日閲覧。. ^ a b George Finlay (1856). History of the Byzantine empire from DCCXVI to MLVII.. http://books.google.com/books?id=7D3PAAAAMAAJ&pg=PA316&dq=Thessalonica+second+city+Byzantine+Empire&hl=en&ei=9wtHTuTcHM_xsgaC8aScBw&sa=X&oi=book_result&ct=result&resnum=1&sqi=2&ved=0CCwQ6AEwAA#v=onepage&q=Thessalonica%20second%20city%20Byzantine%20Empire&f=false 2011年8月14日閲覧。. ^ Robert Browning (1992). The Byzantine Empire. http://books.google.com/books?id=qp8ocRg7r2sC&pg=PA73&dq=Thessalonica+second+city+Byzantine+Empire+population&hl=en&ei=6QxHTpuaJ8ORswbioOy8Bw&sa=X&oi=book_result&ct=result&resnum=5&ved=0CDsQ6AEwBA#v=onepage&q=Thessalonica&f=false 2011年8月14日閲覧。. ^ Donald MacGillivray Nicol (1993). The last centuries of Byzantium, 1261-1453. http://books.google.com/books?id=y2d6OHLqwEsC&pg=PA20&dq=Thessalonica+second+city+Byzantine+Empire+population&hl=en&ei=xg1HTvuLHIz5sga-lt2fBw&sa=X&oi=book_result&ct=result&resnum=10&ved=0CF0Q6AEwCQ#v=onepage&q=Second%20city&f=false 2011年8月14日閲覧。. ^ Michael Jones (1995). The New Cambridge Medieval History: c. 1300-c. 1415. p. 811. http://books.google.com/books?id=LOS1c0w91AcC&pg=PA811&dq=Thessaloniki+population+1300s&hl=en&ei=YA5HTvL7EMbCswanxbS9CQ&sa=X&oi=book_result&ct=result&resnum=1&ved=0CCwQ6AEwAA#v=onepage&q&f=false 2011年8月14日閲覧。. ^ Karl Kaser (2011). The Balkans and the Near East: Introduction to a Shared History. http://books.google.com/books?id=j3i8muwLf8AC&pg=PA196&dq=thessalonica+population&hl=en&ei=2Ms7Tsz6CsvOsgaDvLka&sa=X&oi=book_result&ct=result&resnum=2&ved=0CDEQ6AEwAQ#v=snippet&q=150%2C000&f=false 2011年8月5日閲覧。. ^ Richard Britnell, John Hatcher (2002). Progress and Problems in Medieval England: Essays in Honour of Edward Miller. http://books.google.com/books?id=QkcQAgIFffUC&pg=PA96&dq=Population+of+London+1300&hl=en&ei=uw9HTp7UH4PMswaL9eGyBw&sa=X&oi=book_result&ct=result&resnum=4&ved=0CEUQ6AEwAw#v=onepage&q=Population%20of%20London%201300&f=false 2011年8月14日閲覧。. ^ Skedros, James C. (1999). Saint Demetrios of Thessaloniki : civic patron and divine protector, 4th-7th centuries CE. Harrisburg, Pa: Trinity Press International. p. 105. ISBN 978-1-56338-281-9. http://books.google.gr/books?ei=lHVBT5OCIev14QTipMzACA&hl=el&id=zWvYAAAAMAAJ&dq=thessaloniki+avars&q=%22In+586+a+combined+Avar-Slav+siege+of+Thessaloniki+was+undertaken.+Although+it+failed%2C+repeated+attacks+upon+the+city+continued+well+into+the+next+century.+In+the+words+of+George+Ostrogorsky%2C+%22Innumerable+hordes+of+Slavs+and+Avars%22#search_anchor. ^ a b c Paul M. Barford. The early Slavs: culture and society in early medieval Eastern Europe. p. 61. http://books.google.ca/books?id=1Z9ItAtbJ5AC&pg=PA61&dq=slavs+thessalonica&hl=en&sa=X&ei=C706T5HPBIXf0QGf_PmhCw&ved=0CEwQ6AEwBDgK#v=onepage&q=macedonian%20sclavinia&f=false 2012年2月18日閲覧。. ^ T E Gregory, A History of Byzantium. Wiley- Blackwell, 2010. Pg 169. "It is now generally agreed that the people who lived in the Balkans after the Slavic "invasions" were probably for the most part the same as those who had lived there earlier, although the creation of new political groups and arrival of small immigrants caused people to look at themselves as distinct from their neighbours, including the Byzantines". ^ Curta, Florin (2006). Southeastern Europe in the Middle Ages : 500 - 1250. Cambridge: Cambridge Univ. Press. p. 125. ISBN 978-0-521-81539-0. http://books.google.gr/books?id=YIAYMNOOe0YC&pg=PA125&dq=%22At+the+emperor's+request,+Con-+stantine+and+his+brother+started+the+translation+of+religious+texts+into+Old+Church+Slavonic,+a+literary+language+most+likely+based+on+the+Macedonian+dialect+allegedly+used+in+the+hinterland+of+their+%22&hl=el&sa=X&ei=ro9CT9PAEPHT4QT1pNmwAg&ved=0CC8Q6AEwAA#v=onepage&q=%22At%20the%20emperor's%20request%2C%20Con-%20stantine%20and%20his%20brother%20started%20the%20translation%20of%20religious%20texts%20into%20Old%20Church%20Slavonic%2C%20a%20literary%20language%20most%20likely%20based%20on%20the%20Macedonian%20dialect%20allegedly%20used%20in%20the%20hinterland%20of%20their%20%22&f=false. "At the emperor's request, Constantine and his brother started the translation of religious texts into Old Church Slavonic, a literary language most likely based on the Macedonian dialect allegedly used in the hinterland of their hometown, Thessalonica"
^ Florin Curta & Paul Stephenson (2006). Southeastern Europe in the Middle Ages, 500-1250. Cambridge University Press. p. 214. ^ A history of Thessaloniki by Apostolos Euangelou Vakalopoulos, pages 32-34. Books.google.ca. http://books.google.ca/books?ei=C0Y_T8bZEKbY0QGemLmqBw&id=nk9oAAAAMAAJ&dq=thessaloniki+slavs+birth+place&q=role+of+the+city+in+the+enlightenment+of+the+Slavs#search_anchor 2012年3月11日閲覧。. ^ The Cambridge history of Russian literature by Charles A. Moser, pg. 3. Books.google.ca. (1992-04-30). http://books.google.ca/books?id=6FQ7ALNZXdUC&printsec=frontcover&dq=The+Cambridge+history+of+Russian+literature&hl=en&sa=X&ei=uPw_T-3ZD-f40gGtuuWvBw&ved=0CDYQ6AEwAA#v=onepage&q=thessaloniki&f=false 2012年3月11日閲覧。. ^ Dixon-Kennedy, Mike (1999). Encyclopedia of Russian and Slavic myth and legend. (2nd printing. ed.). Oxford: ABC-Clio. p. 56. ISBN 978-1-57607-130-4. http://books.google.gr/books?id=eD5AkdM83iIC&pg=PA56&dq=cyril+slavs&hl=el&sa=X&ei=z3tBT5aLF8zT4QTKtJmGCA&ved=0CEMQ6AEwBA#v=onepage&q=cyril%20slavs&f=false. ^ Jr, John V. A. Fine, (2000). The early medieval Balkans : a critical survey from the sixth to the late twelfth century (1. paperback ed., 10.[Dr.] ed.). Ann Arbor: Univ. of Michigan Press. p. 140. ISBN 978-0-472-08149-3. http://books.google.gr/books?id=YbS9QmwDC58C&pg=PA140&dq=thessaloniki+arabs+capture&hl=el&sa=X&ei=s3ZBT-WZJcPN4QST6ZGgCA&ved=0CE0Q6AEwBQ#v=onepage&q=thessaloniki%20arabs%20capture&f=false. ^ Jonathan Harris (2006). Byzantium and the Crusades. http://books.google.com/books?id=PXizk1RZ88wC&pg=PA152&dq=Fourth+Crusade+Thessalonica+1204&hl=en&ei=mwlHTsXNFsP1sgb606CsDw&sa=X&oi=book_result&ct=result&resnum=2&ved=0CDIQ6AEwAQ#v=onepage&q=Fourth%20Crusade%20Thessalonica%201204&f=false 2011年8月14日閲覧。. ^ a b c d e Warwick William Wroth (1911). Catalogue of the coins of the Vandals, Ostrogoths and Lombards: and of the empires of Thessalonica, Nicaea and Trebizond in the British museum. http://books.google.com/books?id=EXJ3gSLOTtAC&pg=PR69&dq=Empire+of+Thessalonica&hl=en&ei=vwJHTs23O4z6sgaHi72jBw&sa=X&oi=book_result&ct=result&resnum=1&ved=0CCwQ6AEwAA#v=onepage&q=Empire%20of%20Thessalonica&f=false 2011年8月14日閲覧。. ^ Jim Bradbury (2004). Routledge Companion to Medieval Warfare. http://books.google.com/books?id=j6y0E6YO-oEC&pg=PA97&dq=Thessaloniki+co-capital+Byzantine+Empire&hl=en&ei=ff9GTu-3As7tsgaGw4DsAw&sa=X&oi=book_result&ct=result&resnum=1&ved=0CC8Q6AEwADgK#v=onepage&q&f=false 2011年8月14日閲覧。. ^ Mark C. Bartusis (1997). The late Byzantine army: arms and society, 1204-1453. http://books.google.com/books?id=rUs-hHd89xAC&pg=PA23&dq=Empire+of+Thessaloniki&hl=en&ei=1QBHToi4DorzsgbDxcWgBw&sa=X&oi=book_result&ct=result&resnum=2&ved=0CDEQ6AEwAQ#v=onepage&q=Empire%20of%20Thessaloniki&f=false 2011年8月14日閲覧。. ^ George Finlay (1851). The history of Greece from its conquest by the Crusaders to its conquest by the Turks, and of the empire of Trebizond, 1204-1461. http://books.google.com/books?id=w54BAAAAQAAJ&pg=PA144&dq=Empire+of+Thessalonica&hl=en&ei=vwJHTs23O4z6sgaHi72jBw&sa=X&oi=book_result&ct=result&resnum=2&ved=0CDEQ6AEwAQ#v=onepage&q=Empire%20of%20Thessalonica&f=false 2011年8月14日閲覧。. ^ Tony Jaques (2007). Dictionary of Battles and Sieges: F-O. http://books.google.com/books?id=Dh6jydKXikoC&pg=PA535&dq=Klokotnitsa&hl=en&ei=LgJHToSIGo_bsgbh_qWvCQ&sa=X&oi=book_result&ct=result&resnum=2&ved=0CDIQ6AEwAQ#v=onepage&q=Klokotnitsa&f=false 2011年8月14日閲覧。. ^ a b c d John Van Antwerp Fine (1994). The Late Medieval Balkans: A Critical Survey from the Late Twelfth Century to the Ottoman Conquest. http://books.google.com/books?id=LvVbRrH1QBgC&pg=PA309&dq=Zealots+of+Thessaloniki&hl=en&ei=AAVHTtS1EsbNswbN2IC_Bw&sa=X&oi=book_result&ct=result&resnum=2&ved=0CDEQ6AEwAQ#v=onepage&q=Zealots%20of%20Thessaloniki&f=false 2011年8月14日閲覧。. ^ a b Timothy E. Gregory (2010). A History of Byzantium. http://books.google.com/books?id=gXCl9P0vKS4C&pg=PA358&dq=Zealots+of+Thessaloniki&hl=en&ei=AAVHTtS1EsbNswbN2IC_Bw&sa=X&oi=book_result&ct=result&resnum=1&ved=0CCwQ6AEwAA#v=onepage&q=Zealots%20of%20Thessaloniki&f=false 2011年8月14日閲覧。. ^ Warren T. Treadgold (1997). A history of the Byzantine state and society. http://books.google.com/books?id=nYbnr5XVbzUC&pg=PA770&dq=Zealots+of+Thessalonica&hl=en&ei=SQRHTse2EJCLswb2gOWyBw&sa=X&oi=book_result&ct=result&resnum=3&ved=0CDYQ6AEwAg#v=onepage&q=Zealots%20of%20Thessalonica&f=false 2011年8月14日閲覧。. ^ cf. the account of John Anagnostes. ^ Nicol, Donald M. (1992). Byzantium and Venice: A Study in Diplomatic and Cultural Relations. Cambridge University Press. p. 371. ISBN 0-521-42894-7. "The capture and sack of Thessalonica is vividly described by an eye-witness, John Anagnostes.... He reckoned that 7000 citizens, perhaps one-fifth of the population, were carried off to slavery." ^ Harris, Jonathan (1995). Greek emigres in the West 1400–1520. Porphyrogenitus. p. 12. ISBN 1-871328-11-X. 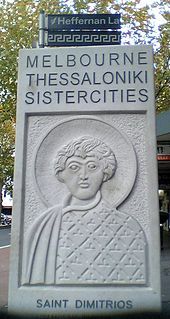 "Many of the inhabitants of Thessalonica fled to the Venetian colonies in the early 15th century, in the face of sporadic attacks which culminated in the city’s capture by Murad II in the 1430’s." ^ Milner, Henry (2009). The Turkish Empire: The Sultans, the Territory, and the People. BiblioBazaar. p. 87. ISBN 1-113-22399-5. "Theodore Gaza, one of these exiles, escaped from Saloniki, his native city, upon its capture by Amurath." ^ a b c d e f g h John R. Lampe, Marvin R. Jackson (1982). Balkan economic history, 1550-1950: from imperial borderlands to developing nations. http://books.google.com/books?id=OtW2axOSn10C&pg=PA39&dq=Thessalonica+and+Smyrna+trading+Ottoman+Empire&hl=en&ei=KddHTvvoA4vasgbT2vWcBw&sa=X&oi=book_result&ct=result&resnum=1&ved=0CCwQ6AEwAA#v=onepage&q=Thessaloniki&f=false 2011年8月14日閲覧。. ^ a b Gábor Ágoston, Bruce Alan Masters (2009). Encyclopedia of the Ottoman Empire. http://books.google.com/books?id=QjzYdCxumFcC&pg=PA502&dq=Thessalonica+economy+Ottoman+Empire&hl=en&ei=jNhHToChJo71sgba7-nKBw&sa=X&oi=book_result&ct=result&resnum=2&ved=0CDIQ6AEwAQ#v=onepage&q&f=false 2011年8月14日閲覧。. ^ Society for the Diffusion of Useful Knowledge (Great Britain) (1843). The Penny cyclopædia of the Society for the Diffusion of Useful Knowledge. http://books.google.com/books?id=khnnAAAAMAAJ&pg=PA392&dq=Selanik+sanjak&hl=en&ei=0dxHTu6zE4uSswbqvcGpBw&sa=X&oi=book_result&ct=result&resnum=3&ved=0CD0Q6AEwAg#v=onepage&q=Selanik&f=false 2011年8月14日閲覧。. ^ Kemal H. Karpat (2002). Studies on Ottoman social and political history: selected articles and essays. http://books.google.com/books?id=082osLxyBDgC&pg=PA201&dq=Ottoman+vilayets&hl=en&ei=Vt5HTqGiLofusgaEiYW6Bw&sa=X&oi=book_result&ct=result&resnum=6&ved=0CEUQ6AEwBQ#v=onepage&q=Selanik&f=false 2011年8月14日閲覧。. ^ Sir James Porter, Sir George Gerard de Hochepied Larpent (1854). Turkey: its history and progress: from the journals and correspondence of Sir James Porter continued to the present time, with a memoir of Sir James Porter, Volume 2. http://books.google.com/books?id=gLFJAAAAMAAJ&pg=PA292&dq=Selanik+Eyaleti&hl=en&ei=HN9HTpTCIsbysgaTnby6Bw&sa=X&oi=book_result&ct=result&resnum=2&ved=0CDEQ6AEwAQ#v=onepage&q=Selanik%20Eyaleti&f=false 2011年8月14日閲覧。. ^ a b c ABC-CLIO (2011). Conflict and Conquest in the Islamic World: A Historical Encyclopedia. http://books.google.com/books?id=jBBYD2J2oE4C&pg=PA149&dq=The+Auspicious+Incident&hl=en&ei=7-FHTqPdOY_1sgaFs_CxCQ&sa=X&oi=book_result&ct=result&resnum=2&ved=0CDIQ6AEwAQ#v=onepage&q=The%20Auspicious%20Incident&f=false 2011年8月14日閲覧。. ^ a b S. B. Chester (1921). Life of Venizelos. p. 159. http://ia700402.us.archive.org/8/items/lifeofvenizelosw00chesuoft/lifeofvenizelosw00chesuoft.pdf 2011年12月7日閲覧。. ^ a b c Richard C. Hall (2000). The Balkan Wars, 1912-1913: prelude to the First World War. http://books.google.co.uk/books?id=ZSllgZ-1D4YC&pg=PA150&dq=balkan+wars+thessaloniki&hl=en&ei=wFXfTp2AOM2o8APqk4HzBA&sa=X&oi=book_result&ct=result&redir_esc=y#v=onepage&q=thessaloniki&f=false 2011年12月7日閲覧。. ^ a b Eugenia Russell (2010). St Demetrius of Thessalonica - Cult and Devotion in the Middle Ages. http://books.google.com/books?id=ObCX9iXMp5kC&pg=PA131&dq=Balkan+Wars+thessaloniki+26+October&hl=en&ei=m2FGTtbCNcvrsgbt8KGqAw&sa=X&oi=book_result&ct=result&resnum=4&sqi=2&ved=0CDsQ6AEwAw#v=onepage&q=Balkan%20Wars%20thessaloniki%2026%20October&f=false 2011年8月10日閲覧。. ^ A Short History of Modern Greece. Cambridge University Press. (1979). http://books.google.com/books?id=iuo8AAAAIAAJ&pg=PA103&dq=treaty+of+bucharest+1913&hl=en&ei=fGJGTt7bEIzFswbRtM27CQ&sa=X&oi=book_result&ct=result&resnum=2&ved=0CDEQ6AEwAQ#v=onepage&q=treaty%20of%20bucharest%201913&f=false 2011年8月10日閲覧。. ^ a b David Nicolle, Raffaele Ruggeri (2003). The Italian Army of World War I. http://books.google.com/books?id=3CqXTIyo3skC&pg=PA11&dq=Macedonian+Front+WWI&hl=en&ei=PJRGTsLNGYXHswaQ6aDoBw&sa=X&oi=book_result&ct=result&resnum=1&ved=0CCwQ6AEwAA#v=onepage&q&f=false 2011年8月13日閲覧。. ^ Spencer Tucker, Priscilla Mary Roberts (2005). World War I: encyclopedia, Volume 1. http://books.google.com/books?id=2YqjfHLyyj8C&pg=PA1044&dq=Macedonian+Salonika+Front+WWI&hl=en&ei=gZRGTu74IozXsgaQ-p3bCQ&sa=X&oi=book_result&ct=result&resnum=1&ved=0CCkQ6AEwAA#v=onepage&q=Salonika%20Front&f=false 2011年8月13日閲覧。. ^ a b c d George Th Mavrogordatos (1983). Stillborn republic: social coalitions and party strategies in Greece, 1922-1936. http://books.google.com/books?id=MbSifRqxM1EC&pg=PA284&dq=Movement+of+National+Defence+greece&hl=cs&ei=dtJ4TYXbG8fEgQefyOHXBw&sa=X&oi=book_result&ct=result&resnum=3&sqi=2&ved=0CDYQ6AEwAg#v=onepage&q&f=false 2011年8月13日閲覧。. ^ a b c d Paschalis M. Kitromilides (2008). Eleftherios Venizelos: The Trials of Statesmanship. http://books.google.com/books?id=KQEH4vvG0KwC&pg=PA367&dq=State+of+Thessaloniki&hl=en&ei=h5ZGTvbfOI3Aswa8vsCxCQ&sa=X&oi=book_result&ct=result&resnum=6&ved=0CEwQ6AEwBQ#v=onepage&q=State%20of%20Thessaloniki&f=false 2011年8月13日閲覧。. ^ a b c d Yerolympos, Alexandra Karadimou (1995). The Redesign of Thessaloniki after the Fire of 1917. Thessaloniki: University Studio Press. ^ Elisabeth Kontogiorgi (2006). Population exchange in Greek Macedonia: the rural settlement of refugees 1922-1930. http://books.google.com/books?id=RRwZmWUmkPsC&pg=PA198&dq=exchange+of+populations+Thessaloniki&hl=en&ei=J5lGTpXFJIyVswbjtey5Bw&sa=X&oi=book_result&ct=result&resnum=1&ved=0CDAQ6AEwAA#v=onepage&q=exchange%20of%20populations%20Thessaloniki&f=false 2011年8月10日閲覧。. ^ Panagiotopoulos, Apostolos (2009). Θεσσαλονίκη... εν Θερμώ - Ο συγκλονιστικός 20ός αιώνας της πόλης [Thessaloniki... on Fire - The concussive 20th century of the city]. B. Maliaris Paideia. pp. 723–724. ISBN 978-960-457-239-7. ^ Royal Institute of International Affairs (1975). Chronology and index of the Second World War, 1938-1945. http://books.google.com/books?id=wCkXWI5p5XcC&pg=PA402&dq=timeline+of+the+German+occupation+of+Greece+Salonika&hl=en&ei=-VxGTu_bNM3Ysgbc9MCuCQ&sa=X&oi=book_result&ct=result&resnum=1&sqi=2&ved=0CC8Q6AEwAA#v=onepage&q=Salonika&f=false 2011年8月10日閲覧。. ^ John O. Iatrídês, Linda Wrigley, Lehrman Institute (1995). Greece at the crossroads: the Civil War and its legacy. http://books.google.com/books?id=Vv1t3D_3vjkC&pg=PA288&dq=30+October+1944+Salonica&hl=en&ei=8V1GTo2OBZDYsgbSuejYCQ&sa=X&oi=book_result&ct=result&resnum=1&ved=0CCwQ6AEwAA#v=onepage&q&f=false 2011年8月10日閲覧。. ^ Jason Manolopoulos (2011). Greece's 'Odious' Debt: The Looting of the Hellenic Republic by the Euro, the Political Elite and the Investment Community (Anthem Finance). Anthem Press. pp. 288. ISBN 0-85728-771-0. ^ a b 100+1 Χρόνια Ελλάδα [100+1 Years of Greece]. Volume II. Maniateas Publishings. (1999). pp. 210–211. ^ Matheos Santamouris, Demosthenes N. Asimakopoulos (2001). Energy and climate in the urban built environment, Volume 1. http://books.google.com/books?id=8XyBZEZFtiUC&pg=PA315&dq=Thessaloniki+climate&hl=en&ei=ZvZQTt-BNe304QT2_KSEDQ&sa=X&oi=book_result&ct=result&resnum=2&ved=0CDEQ6AEwAQ#v=onepage&q=Thessaloniki%20climate&f=false 2011年8月21日閲覧。. ^ Thomas E. Downing, Alexander A. Olsthoorn, Richard S. J. Tol (1999). Climate, change and risk. http://books.google.com/books?id=UbtG3vFfNtoC&pg=RA1-PA294&dq=Thessaloniki+climate&hl=en&ei=ZvZQTt-BNe304QT2_KSEDQ&sa=X&oi=book_result&ct=result&resnum=3&ved=0CDcQ6AEwAg#v=onepage&q=Thessaloniki&f=false 2011年8月21日閲覧。. ^ a b c Joseph Roisman, Ian Worthington (2011). A Companion to Ancient Macedonia. John Wiley & Sons. http://books.google.co.uk/books?id=QsJ183uUDkMC&pg=PA565&dq=Via+Egnatia+Thessaloniki&hl=en&sa=X&ei=EBaPT8StI8a30QXEzqGKDQ&ved=0CE8Q6AEwAw#v=onepage&q=Via%20Egnatia%20Thessaloniki&f=false 2012年4月18日閲覧。. ^ S. Todd Lowry, Barry Lewis, John Gordon (1998). ppet&q=Thessaloniki&f=false Ancient andMedieval Economic Ideas and Concepts of Social Justice. BRILL. http://books.google.co.uk/books?id=0-cM9wDXYvgC&printsec=frontcover&dq=Thessaloniki+economy+ancient&hl=en&sa=X&ei=hxiPT-64CMr68QOwkO3UCw&ved=0CDgQ6AEwAQ#v=sni ppet&q=Thessaloniki&f=false 2012年4月18日閲覧。. ^ F. E. Ian Hamilton (1986). Industrialization in Developing and Peripheral Regions. Routledge. http://books.google.co.uk/books?id=XYU9AAAAIAAJ&pg=PA259&dq=Thessaloniki+industrialization&hl=en&sa=X&ei=MhyPT-ffPI_68QPCsKDCCw&ved=0CDQQ6AEwAA#v=onepage&q&f=false 2012年4月18日閲覧。. ^ Васил Кънчов (1970) (Bulgarian). "Избрани произведения", Том II, "Македония. Етнография и статистика". София: Издателство "Наука и изкуство". p. g. 440. http://www.promacedonia.org/vk/vk_2_01.htm 2007年10月19日閲覧。. ^ Συλλογικο εργο (1973) (Greek and English). "Ιστορια του Ελληνικου Εθνους",History of Greek Nation Том ΙΔ,. ATHENS: "ΕΚΔΟΤΙΚΗ ΑΘΗΝΩΝ". p. g. 340. ^ Misha Glenny, The Balkans, p. 512. ^ In Macedonia from the 7th c. BC until late antiquity Archived 2011年11月17日, at the Wayback Machine. ^ The Gold of Macedon Archived 2011年11月17日, at the Wayback Machine. ^ 5,000, 15,000, 200,000 years ago... An exhibition about prehistoric life in Macedonia Archived 2011年11月2日, at the Wayback Machine. ^ Introduction video of the White Tower Museum Archived 2011年1月26日, at the Wayback Machine. ^ John S. Bowman, Sherry Marker, Peter Kerasiotis, Rebecca Tobin (25 January 2008). Frommer's Greece. Frommer's. http://books.google.co.uk/books?id=t5Gdko3i7BYC&pg=PA611&dq=thessaloniki+forum&hl=en&ei=wFbdTtejEMqGsgaM372zBA&sa=X&oi=book_result&ct=result&resnum=8&ved=0CFkQ6AEwBw#v=onepage&q=thessaloniki%20forum&f=false 2011年12月5日閲覧。. ^ Joseph Roisman, Ian Worthington (2011). A Companion to Ancient Macedonia. Wiley-Backwell. http://books.google.co.uk/books?id=QsJ183uUDkMC&pg=PT275&dq=thessaloniki+forum&hl=en&ei=4FTdTqnmIM_Nsga16ZSMBA&sa=X&oi=book_result&ct=result&redir_esc=y#v=onepage&q=thessaloniki%20forum&f=false 2011年12月5日閲覧。. ^ a b Laura Salah Nasrallah, Charalambos Bakirtzis, Steven J. Friesen (2010). From Roman to early Christian Thessalonikē: studies in religion and archaeology. Harvard College. http://books.google.co.uk/books?id=o8f_f04haw8C&pg=PA169&dq=thessaloniki+archaeology&hl=en&ei=ZFjdTt-LKIPIsgbQppWMBA&sa=X&oi=book_result&ct=result&resnum=1&ved=0CDYQ6AEwAA#v=onepage&q=forum&f=false 2011年12月5日閲覧。. ^ Clyde E. Fant, Mitchell Glenn Reddish (2003). A guide to biblical sites in Greece and Turkey. Oxford University Press. http://books.google.co.uk/books?id=248rXe16v9YC&pg=PA136&dq=palace+of+galerius&hl=en&ei=IFrdTqHrAYvGswbqqv2wBA&sa=X&oi=book_result&ct=result&resnum=2&ved=0CDwQ6AEwAQ#v=onepage&q=palace%20of%20galerius&f=false 2011年12月5日閲覧。. ^ Jack Finegan (1981). The archeology of the New Testament: the Mediterranean world of the early Christian Apostles. Westview Press. http://books.google.co.uk/books?id=L5g9AAAAIAAJ&pg=PA108&dq=palace+of+galerius&hl=en&ei=TVzdTprsPIfMtAax4P2rBA&sa=X&oi=book_result&ct=result&resnum=4&ved=0CEYQ6AEwAzgU#v=onepage&q=palace%20of%20galerius&f=false 2011年12月5日閲覧。. ^ Korina Miller, Kate Armstrong, Michael Stamatios Clark, Chris Deliso (2010). Greece. Lonely Planet. http://books.google.com/books?id=2oOeiyMEEf4C&pg=PA280&dq=Thessaloniki+ancient+Macedonia&hl=en&ei=GqdGTonUFovRsgbH8a3EBw&sa=X&oi=book_result&ct=result&resnum=9&ved=0CFUQ6AEwCDgK#v=onepage&q=Thessaloniki&f=false 2011年8月13日閲覧。. ^ a b c d Frommer's Greece. Wiley Publishing Inc.. (2008). http://books.google.co.uk/books?id=t5Gdko3i7BYC&pg=PA627&dq=Cuisine+Thessaloniki&hl=en&sa=X&ei=5hA0T7P5A4qx0AXkxvWYAg&redir_esc=y#v=onepage&q=Cuisine%20Thessaloniki&f=false 2012年2月9日閲覧。. ^ The International Journal of Scientometrics, Infometrics and Bibliometrics estimates that there are 17036 universities in the world. ^ Open University (in Greek). ^ Port of Thessaloniki passenger terminal Archived 2015年10月3日, at the Wayback Machine. John R. Melville-Jones, 'Venice and Thessalonica 1423–1430 Vol I, The Venetian Accounts, Vol. II, the Greek Accounts, Unipress, Padova, 2002 and 2006 (the latter work contains English translations of accounts of the events of this period by St Symeon of Thessaloniki and John Anagnostes). Mark Mazower, Salonica, City of Ghosts: Christians, Muslims and Jews, 1430–1950, 2004, ISBN 0-375-41298-0.